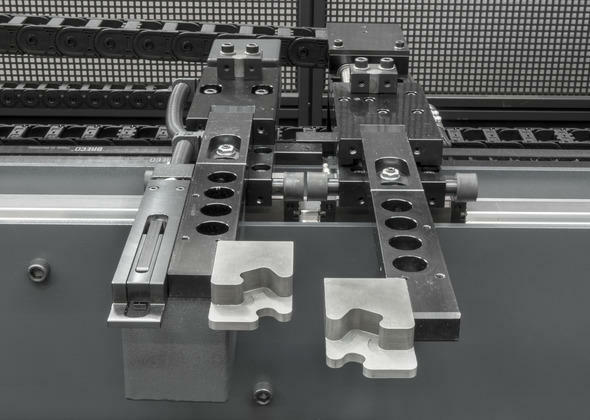 The fourth generation E-Brake adds important new advantages to the proven E-Brake technology. 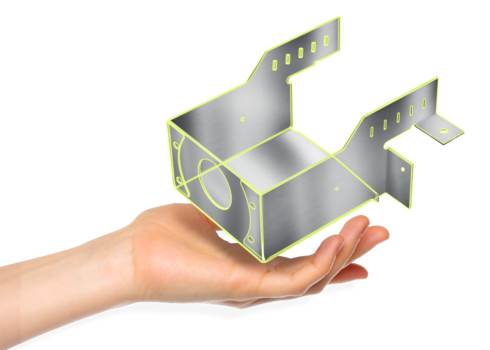 An important feature is the new design, which greatly improves ergonomics. 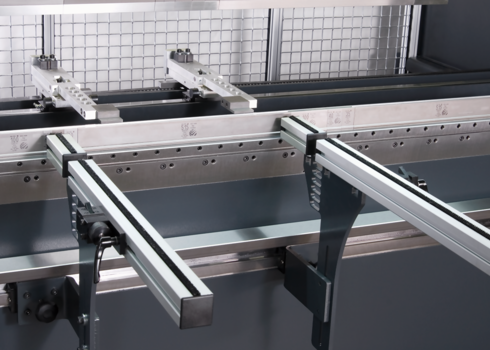 The control system is also equipped with a new design and is industry 4.0 ready, which means that your control system can communicate with external systems. 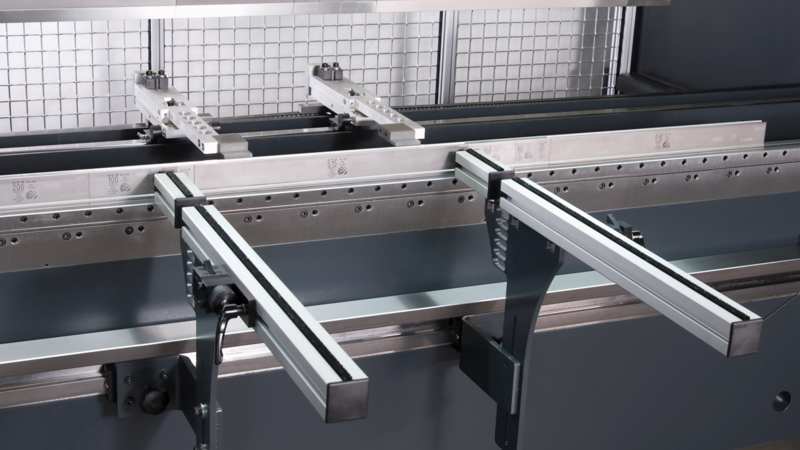 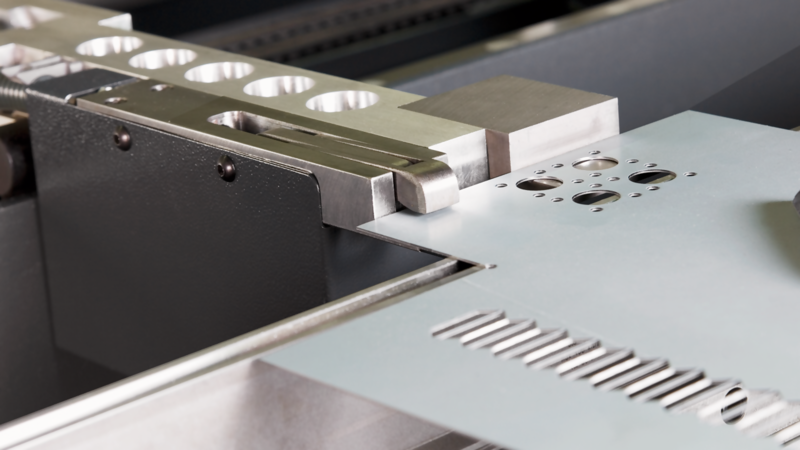 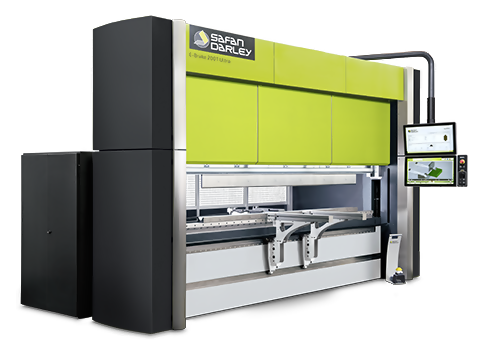 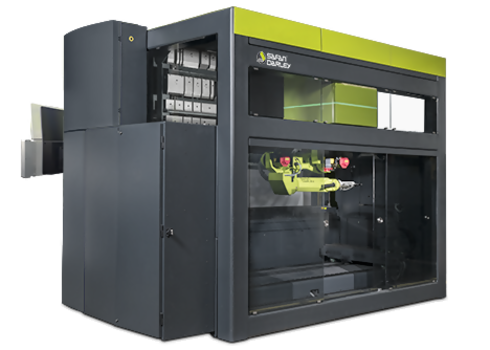 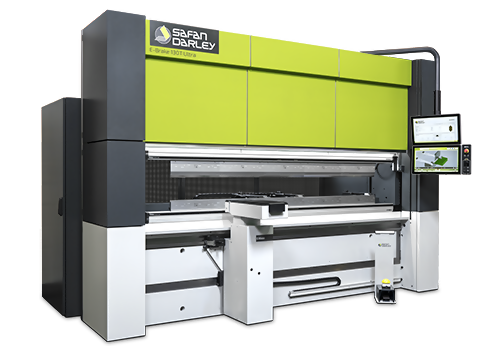 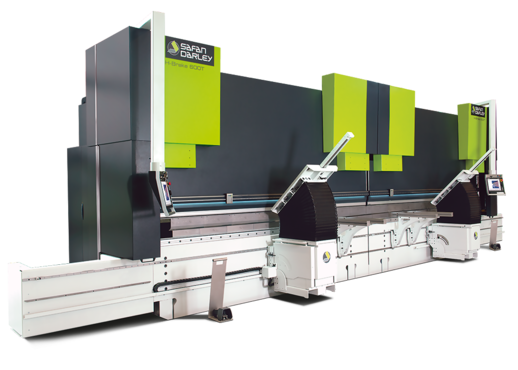 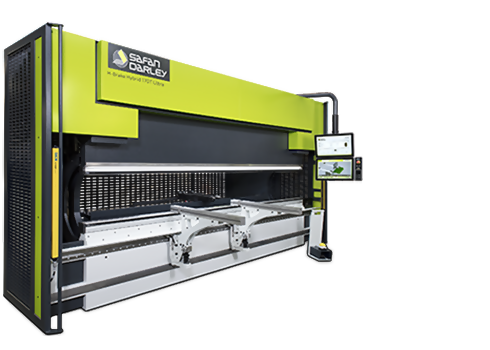 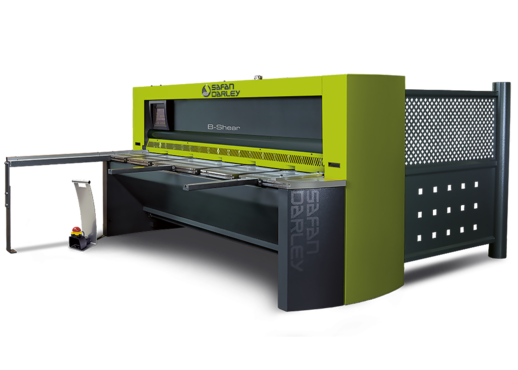 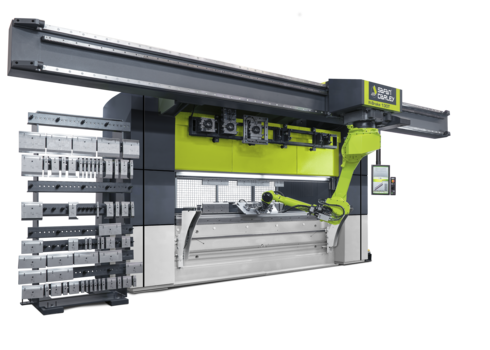 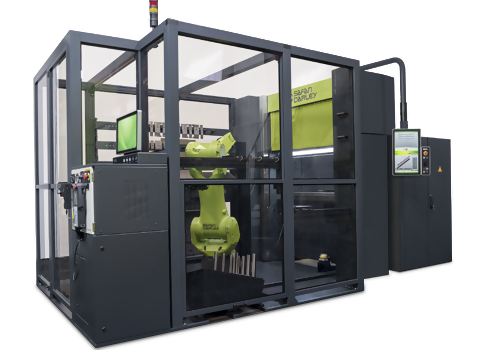 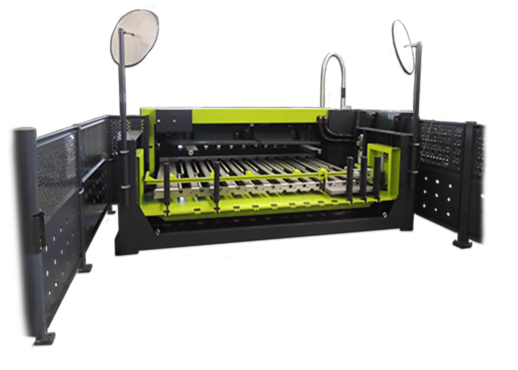 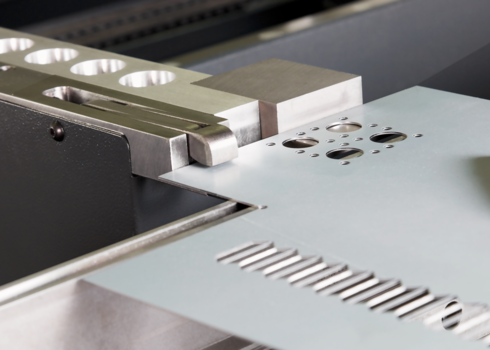 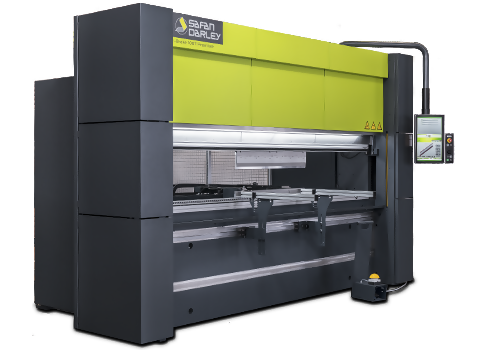 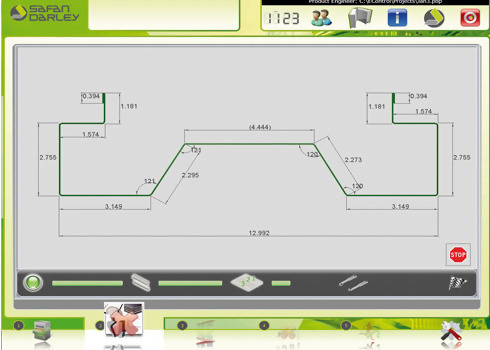 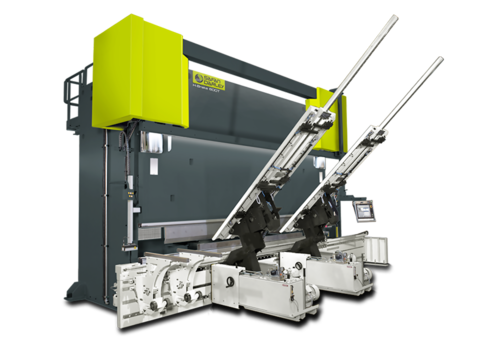 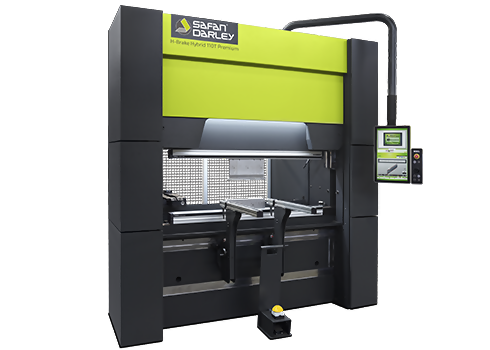 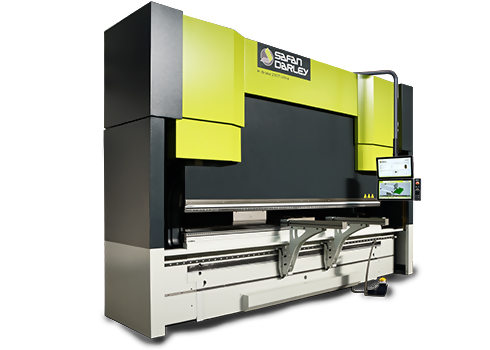 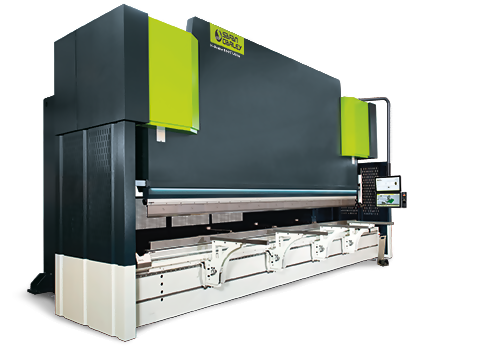 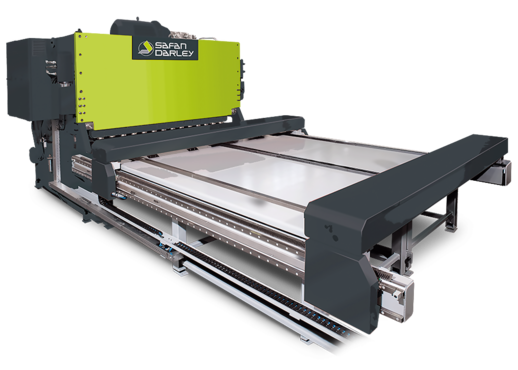 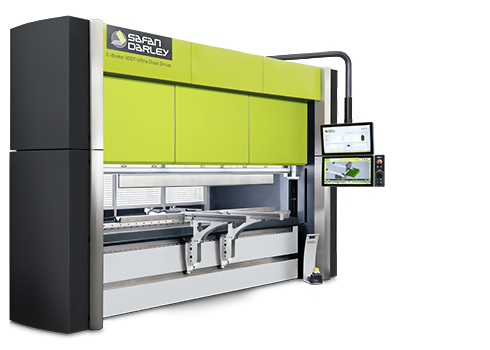 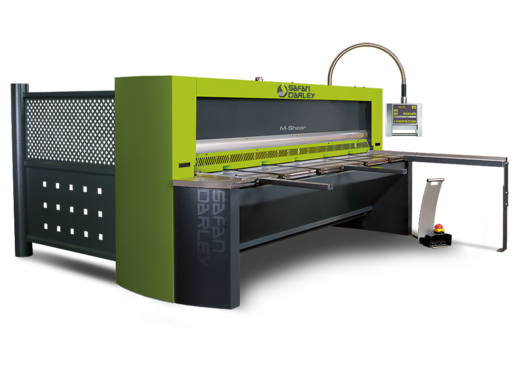 In short, the new generation SafanDarley E-Brake means a next step in the E-volution in sheet metal working. 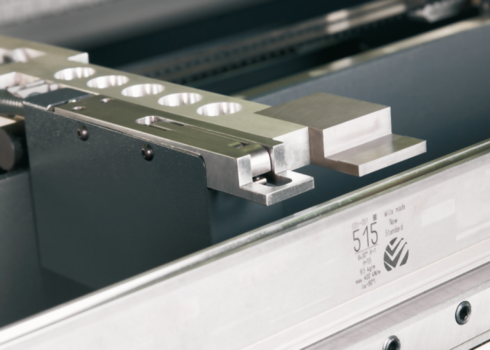 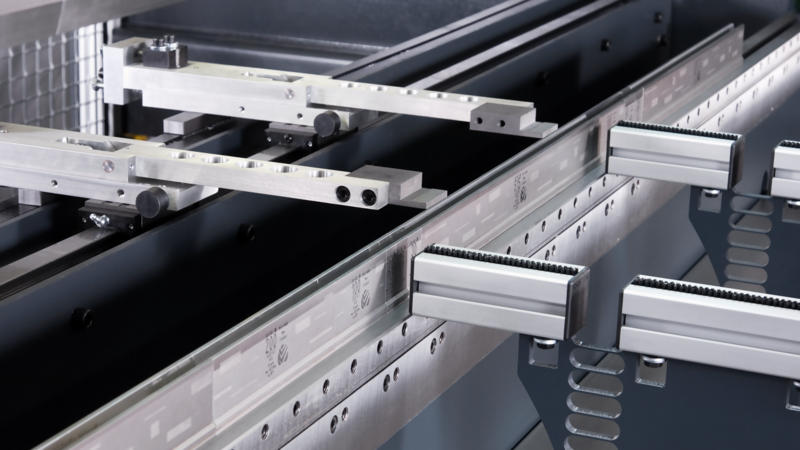 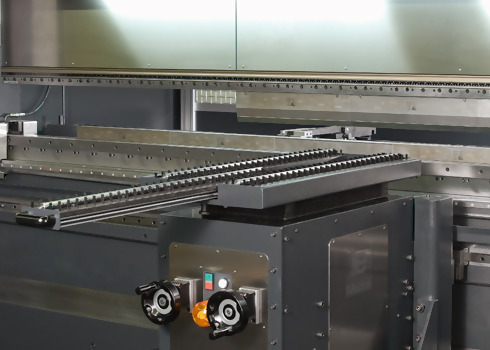 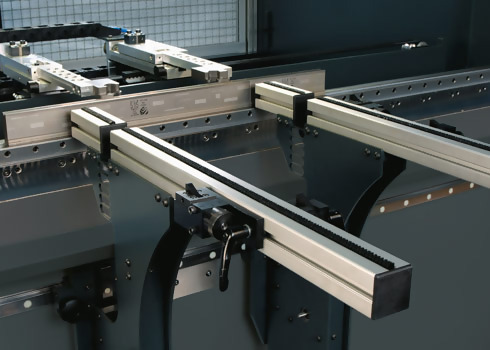 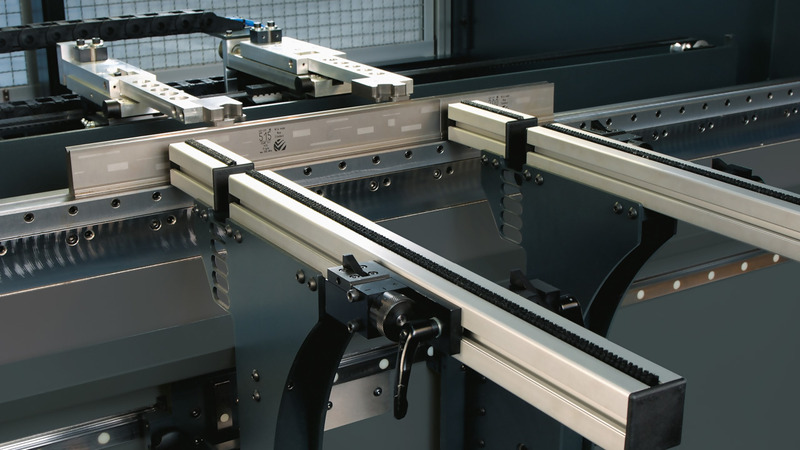 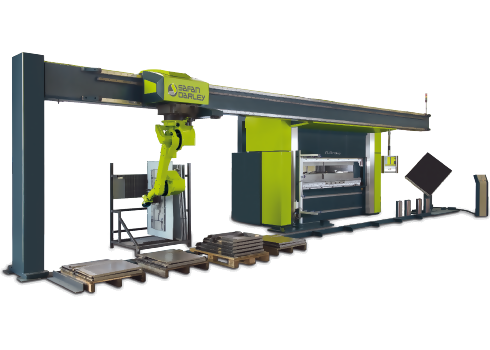 With the Ergonomic implementation option (for E-Brake model 35T and 40T), the press brake and its operator work as one. 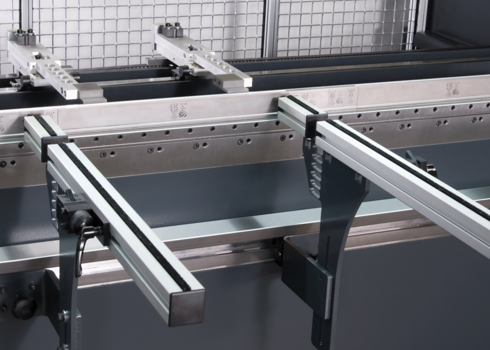 The operator is surrounded by a support table, which is especially beneficial when bending large quantities. 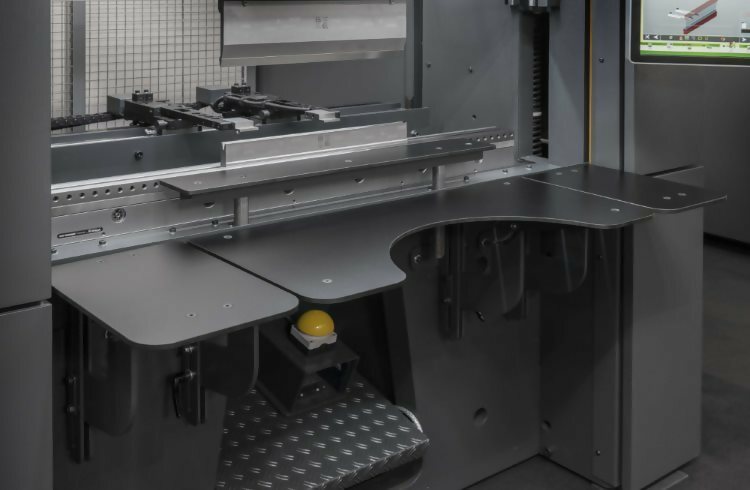 The ergonomic ease of operation is optimised because the seating position can be fully adjusted as desired, increasing productivity. 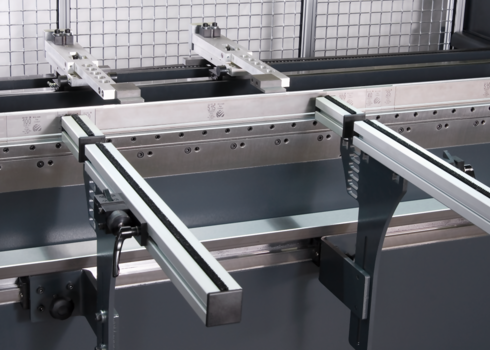 The E-Brake Premium is equipped with a single screen with split screen. 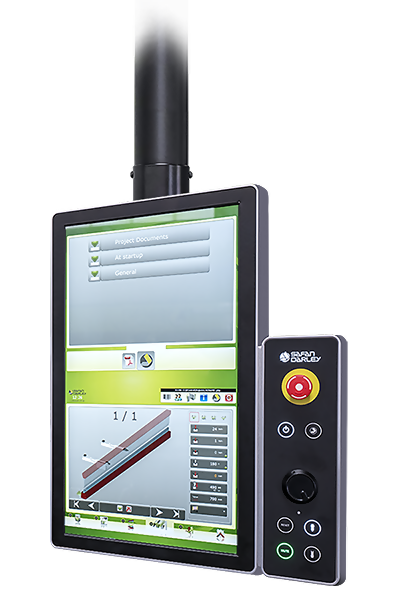 This makes it possible to run two applications on one screen and create a paperless working environment.